Can I give my dog a Tums? Does your dog have an upset stomach? Are you wondering, “Can I give my dog a Tums?” Well, simply stated, the answer is “no,” you shouldn’t reach for the bottle of Tums. Although it probably won’t hurt your dog, it’s not a medication that they should be taking. There are a few things that you’ll want to do for your dog instead of simply handing your dog a Tums. I will suggest alternatives to Tums that are more effective and will be helpful for your dog for stomach issues. Does your Dog often have an upset stomach? If your dog regularly has stomach issues, you need to get to the bottom of it(Excuse the pun!). It may be that a treat you give your dog is not tolerable to your dog’s stomach. However, the most likely cause for regular episodes of upset stomach in dogs is a sensitive stomach. Many dogs have sensitive stomachs and can’t handle regular dog food and you would need to feed them a limited ingredient dog food that are specific for dogs with sensitive stomachs. There are a few options for limited ingredient dog foods in the market and I have selected the 5 best dog food options for sensitive stomach in this article. Here are a few products I will recommend blindly to my readers to help dogs for an upset stomach. However, it is important to get to the root cause if your dog has frequent episodes. This is my go to product for an upset stomach for my dogs. The results are instantaneous. If your dog is passing loose stools, showing symptoms of diarrhea, passing gas or any other signs of intestinal disturbances, this product is a no-brainer. If your dog has a sensitive stomach and frequently gets diarrhea, this is a blessing and you would be doing yourself a favor by stocking this product for the next bout of diarrhea. 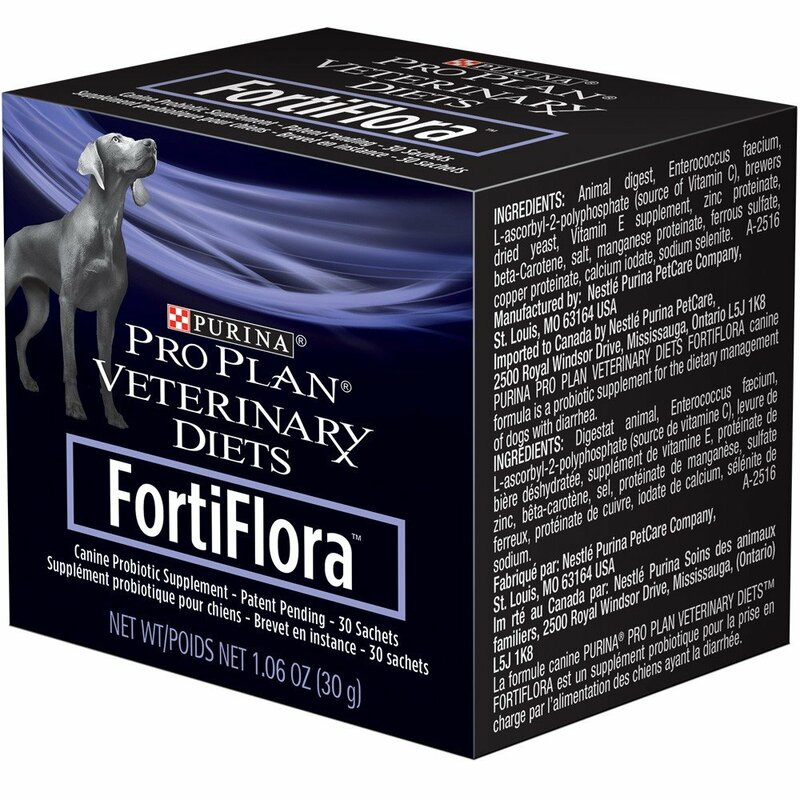 It is formulated such that it adsorbs toxins and toxic materials present in the dogs gut. Dosage and Administration: For dogs 5-25 lbs of body weight, 1 tablet every 4 hours. For dogs 26-50 lbs of body weight, 2 tablets every 4 hours. This is another great product for upset stomach in dogs. My favorite aspect of this product is its palatability. You don’t have force a tablet down your dog’s throat nor chase them to make them have it. You just sprinkle it on their food and they don’t even notice it. 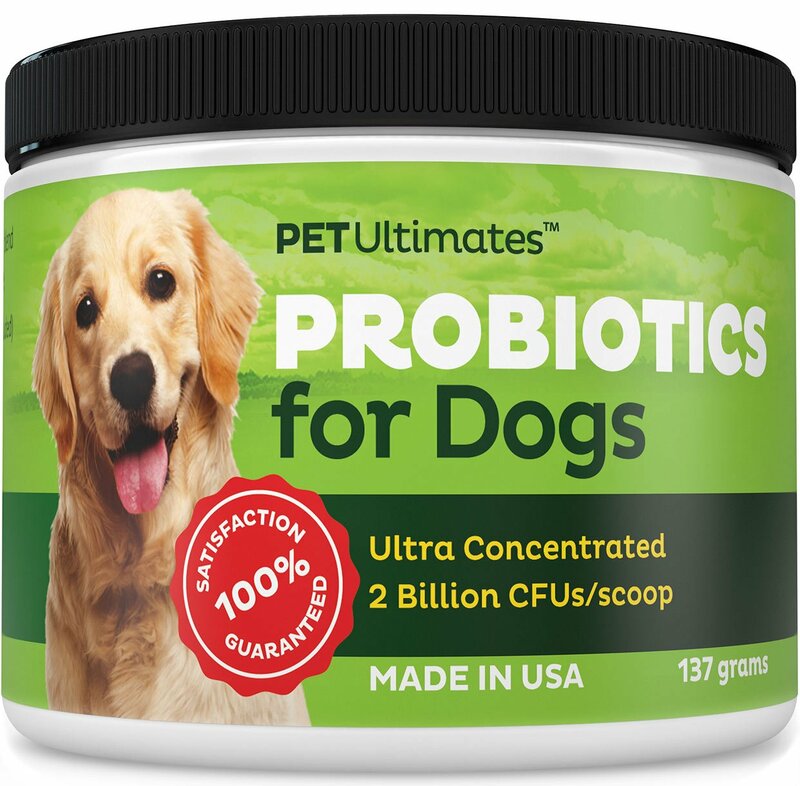 So, if you are a busy person and/or don’t like wasting time trying to administer meds to your dog, get pet ultimates probiotics for dogs. The protective microorganisms guard the canine colon against mucosal inflammation and infections by yeast, toxic bacteria. Among the benefits are reduced shedding, firmer stools, less gas, and suppression of allergic symptoms such as itching, scratching and hot spots. Suitable for dogs with history of sensitives stomach as well as for dogs who need a little help recovering from a recent round of antibiotics. Dosage and administration: Just sprinkle one scoop on the food once per day and see your dog recover in amazing quick time. This is another great product that I would recommend. It is in powder form. It is a dog probiotic supplement. Dosage and administration: Just mix one sachet each day with the food and give it to your dog. Results are really good. In the past there were some veterinarians who would actually prescribe Tums for dogs who needed some help with their digestive problems. This actually became quite common in the olden days. However, veterinarians have changed their view on this over the years. Part of the reason for this is that dogs tend to have a really fast digestive system. This means that most of their issues will simply go away in a short period of time. If you are continuing to have problems with your dog’s digestive tract then the best thing to do is make sure you’re feeding him the same food every day and that you’re also feeding him at the same times every day so that you’ll be able to actually spot any digestive irregularities as they do occur. Regarding your feeding schedule, it’s also important to note that when your dog expects to eat at certain times every day, their digestive juices will start to flow at those times each day. These juices help your dog break down their food in a more efficient manner. At the same time, it’s really important to make sure that you’re feeding your dog the proper portion sizes (check the label on your dog food for more information regarding this as they will typically tell you what to feed your dog based upon its weight). Some people will actually consider giving a Tums to their dog in order to help with its calcium intake. This isn’t something that is recommended either. Instead, there is a better way in which to provide them with more calcium and that is to simply make sure that they are eating a really high quality of dog food, which is one that contains at least 100 milligrams of calcium per serving. With this in mind, you should be offering a food like Royal Canin dog food to your dog at each meal time. Such brands of dog food will more than satisfy your dog’s calcium needs and it’s also easy for them to digest on a consistent basis. At the same time, it’s also important to keep in mind that if you continually supplement your dog’s calcium, instead of allowing a good dog food to do it for you, it’s possible that your dog may develop health problems, like pancreatitis. This could potentially be even worse than not having enough calcium. As most people already realize, a high-quality dog food is very important to your dog’s health. This is because it will give them the energy that they need to be up and about the way that they should be. Furthermore, by feeding your dog this type of food instead of whatever you can find on your local grocery store shelf, your dog will have a shiny, healthy coat. You really will see a big difference in how your dog looks and acts. In specific, high-quality dog food works to keep your dog’s digestive system operating properly. With this in mind, it’s also important to make sure that your dog is getting enough meat and vegetable fillers in their food too. Without enough of these ingredients, your dog is bound to have digestive problems. They won’t be regular but instead they’ll be bloated and have gas too. The right food is a better plan than simply reacting by giving your dog a Tums when they’re experiencing these health issues. Although it is easier to give your dog a Tums, or some other type of over-the-counter medication used for humans, you really shouldn’t allow yourself to give into doing something like this. If your dog is really having a severe issue in regard to acid reflux or stomach-aches, you really do need to seek advice from your vet. He will need to get to the bottom of things for you. Fortunately, he’s the one who has plenty of experience with dogs and has seen many of their different digestive problems over the years. Ultimately, this is a lot more satisfying for both, you and your dog than simply giving him a Tums is. Now you have the answer to your question, “Can I give my dog a Tums?” You may not really like this answer, but it’s not a good idea to give human meds to your dog when you have better products suitable for dogs available in the market. So, try the products I recommend in the article or if the symptoms are severe taking your dog to the vet is the right thing to do. To prevent an upset stomach in the future, feed your dog a high-quality dog food, give him plenty of water and take him out to get lots of exercise. By doing so, you’ll ward off any digestive problems before they’re even able to start.